Plenty happening in Harlem June 9, Green Gym Day, Mafrika Music Festival, Mt. Morris Park House Tour, Maysles Education Open House | HarlemGal Inc.
Sunday, June 9 is Green Gym Day – a day to celebrate outdoor fitness in our parks! The Friends of Morningside Park will be leading a hike/walk through Morningside and St. Nicholas Parks. It starts at the park entrance at 110th and Manhattan Avenue at 10:30 am and it ends at the Hamilton Grange at 141st Street at noon. Here is a link to the hike route. For more than 23 years the community of Mount Morris Park has been opening doors and inviting fellow New Yorkers from across the island and visitors from around the world into the beautiful homes located in Harlem. This year’s tour around the Mount Morris Park section of Harlem will feature homes, churches and even an iconic funeral parlor with a nationwide reputation and a remarkable example of Tiffany glass work. For more information on the events of the day, details on how to order tickets and directions to the Mount Morris Park Historic District, visit www.mmpcia.org. 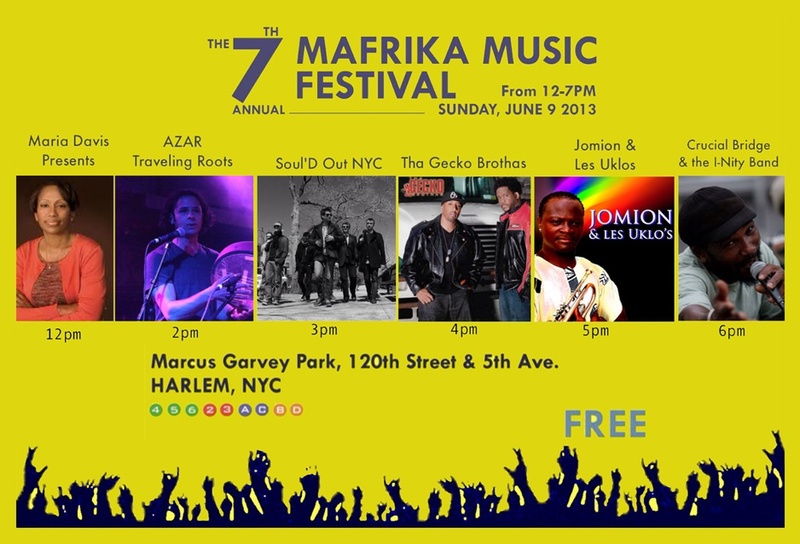 The seventh annual Mafrika Music Festival is also happening June 9 in Marcus Garvey Park in Harlem. The program starts at noon, runs till 7 pm and it’s FREE to the public. Enter Marcus Garvey Park at 120th street and 5th Avenue in Harlem. As always, this event has involvement from Yatenga French Bistro and Bar and ShrineNYC. 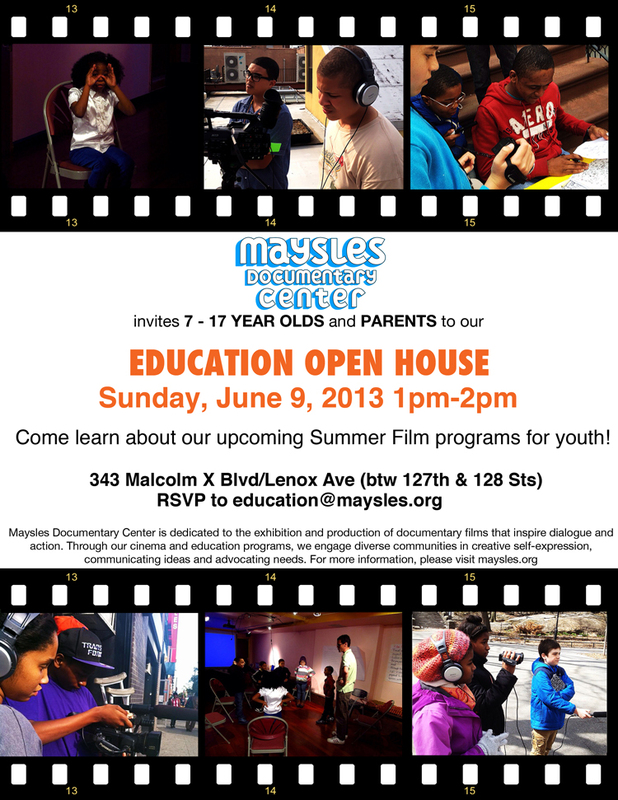 And last, but certainly not least, Maysles Documentary Center will be holding an Education Open House from 1-2 pm at their Lenox Avenue location between 127th and 128th Street. Parents and youth from 7 to 17 years old are invited to come learn about upcoming summer film programs for the youth. This entry was posted in Harlem and tagged 10027, architecture, arts, Entertainment, Harlem, Lifestyle & Entertainment, live music, Mafrika Music Festival, Marcus Garvey Park, Mount Morris Historic District, Mount Morris Park, Mount Morris Park Community Improvement Association, Mount Morris Park House Tour, The Shrine Bar, Yatenga French Bistro and Bar. Bookmark the permalink.